Dr. Leng's laboratory focuses on studying how transcription affects DNA structural changes and activates or inhibits nearby promoters. Using defined protein systems and in vivo E. coli cells, they have found that transcription is a major chromosome remodeling force in bacteria at exponential phase and certain DNA binding proteins, such as FIS and HU, function as topological barriers to modulate localized DNA supercoiling stemming from transcription. We are also utilizing our in vitro and in vivo systems derived from these basic studies to identify or discover antibiotics targeting bacterial DNA gyrase. 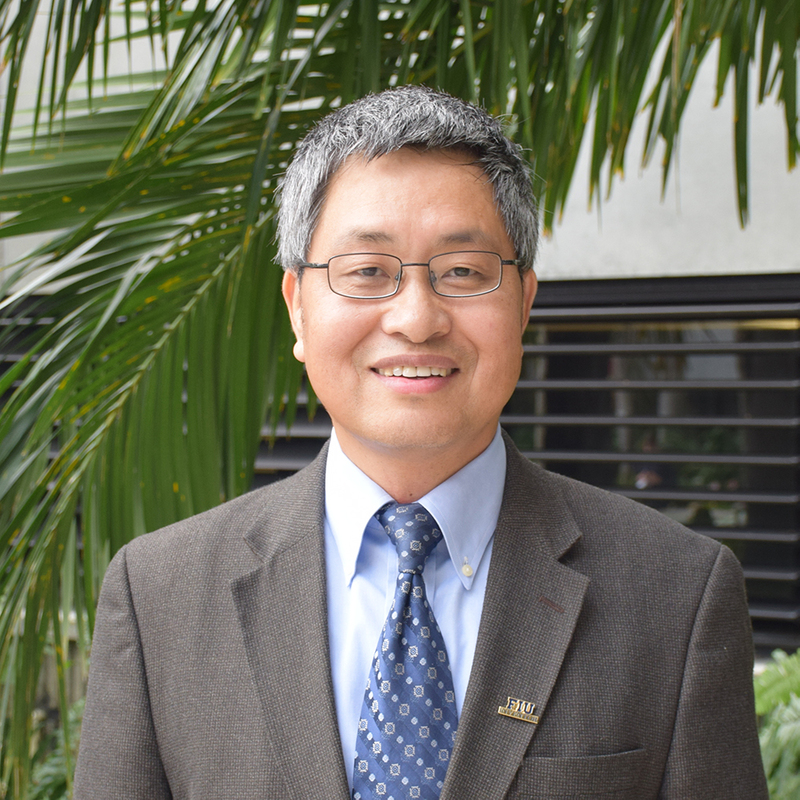 A second project in Dr. Leng's laboratory focuses on studies of the mammalian high mobility group protein AT-hook 2 (HMGA2), a nuclear transcription factor associated with many physiological functions including oncogenesis, obesity, stem cell youth, human height, and human intelligence. This protein contains three “AT hook” DNA binding motifs and specifically recognizes the minor groove of AT-rich DNA sequences. They are particularly interested in understanding the structures and functions of this intriguing protein, and hope to use their knowledge from this basic research to discover or identify small molecular compounds to combat cancers by targeting HMGA2-DNA interactions.